Experience afternoon tea in a beautifully designed, chic space with warm, boutique-style service. Our casually elegant take on afternoon tea will make you want tea time to be a part of your regular rituals. 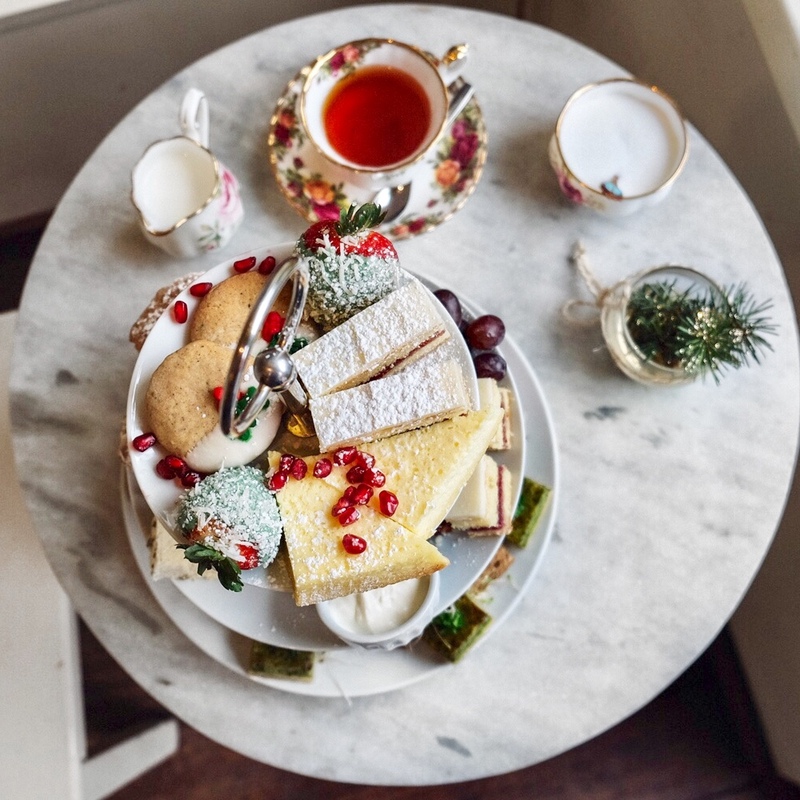 Come with us on a journey to celebrate the absolute best of European tea room and cafe culture. They say Venus Sophia has that irrisistable je ne sais quoi and really, really delicious food. Venus Sophia is a modern tea room in Victoria's historic Chinatown. A hidden gem that will surprise and charm you with its beautiful decor, warm ambience and delicious, local forward house made food. Venus Sophia is where the locals go for an authentic Afternoon and High Tea experience in Victoria. Our Afternoon Tea has everyone talking, from Conde Nast Traveller to Forbes Travel and a recommendation from the Globe & Mail 2017 Royal Tour coverage. Proud winners of the Certificate of Excellence from Trip Advisor for three consecutive years since 2015. We celebrated a friend from Ontario's 75th Birthday at Venus Sophia recently. Everything was lovely. The Food. The Scones!! The Tea. The Staff. The Location in Chinatown and The Ambiance. We will return. Thanks Venus Sophia! Had wonderful experience and time with my friend here!! food was great, setting was lovely, everything was great!! highly recommend!! Would definitely come back again!! A truly enjoyable experience. The food was wonderful, the service was superb, and the atmosphere delightful. Thank you for a very memorable afternoon! I come to Venus Sophia a few times per year for afternoon tea with friends. It's always a lovely indulgence, and the food and atmosphere are consistently great. I can't quite give 5 stars for service -  although the waitstaff are always wonderful, it seems that there is usually only one person assigned to the entire dining room, and on more than one visit I've had to wait longer than I would like, or have had difficulty getting staff's attention, to get more water or cream for tea. Despite that, I would recommend Venus Sophia and would keep coming back - it's one of the best afternoon tea experiences in Victoria. Great experience and a fabulous tea service. Would gladly do it again! If this is your first time having tea then I would come here. It’s not touristy like some places that were adverstised. It’s quite, clean and pretty. I wanted to play dress up and wear a hat while sitting there. The service was great and they were accommodating with my child as well. Have him hot cocoa at a child tempture. If you get here and need some time to relax after flying or cruising come here to unwind. The food was not too much that you can still have room for lunch or dinner. Beautiful and calm setting with DELICIOUS tea and food. The Monk's blend was bar far my favorite (we tried 6 different ones). 5/5 would go back. Absolutely amazing every time I have been. Staff are amazing and friendly and extremely knowledgeable. Thank you! Bright, airy room, very helpful staff, wonderful combinations of sandwiches and sweets, amazing tea! Best scones that I have had in a long time. All food is made in house. The Egyptian date cake is delicious. I’ve been a few times here and it’s one of my favourites! It’s a beautiful place. The food is delish, and the tea is incredible. Highly recommend. Tea was delightful and delicious. We loved everything and will definitely be back. Loved the creme de la creme royal tea. Totally worth the upgrade, the food and service are top notch. Thank you Venus Sophia! A charming and modern tea room, with absolutely exquisite sandwiches, incredible teas, and warm, welcoming, and refined service. A wonderful experience I hope to repeat the next time I'm in Victoria. We are from out of town and a trip to Victoria wouldn't be the same with high tea at Venus Sophia. We love it there and recommend it to everyone we meet, either going to Victoria or those who live there and have never been. It's not to be missed! Sally and her crew are creative in their food presentations and the quality they thoughtfully put into each creation is a masterpiece. I highly recommend tea time at this special restaurant when in Victoria. My sisters and I enjoyed talking to Sally, will make it a point to return for more enjoyable times. Always a wonderful place to stop and dine; you are always made to feel special. The atmosphere, food and service were all lovely. The entire experience was a treat. Thank you!